Robin Friday was known as ‘The Greatest Footballer You Never Saw’ which always seemed like an interesting theme to explore. So I decided to show the Reading FC team… but with one noticeable gap in the line-up. 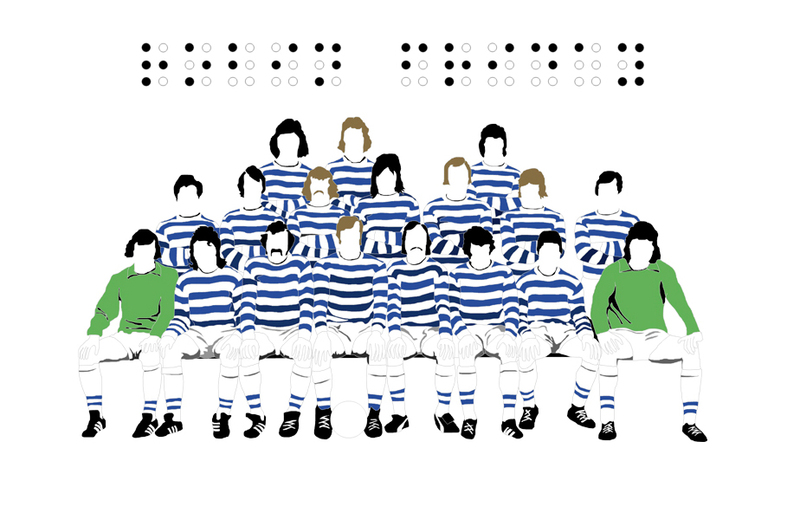 The pattern above the team is actually Robin’s name written in braille… again an attempt to emphasize the fact most people never saw his talents. If you haven’t already read it, then I would strongly recommend this book (of the same name) by author Paolo Hewitt.